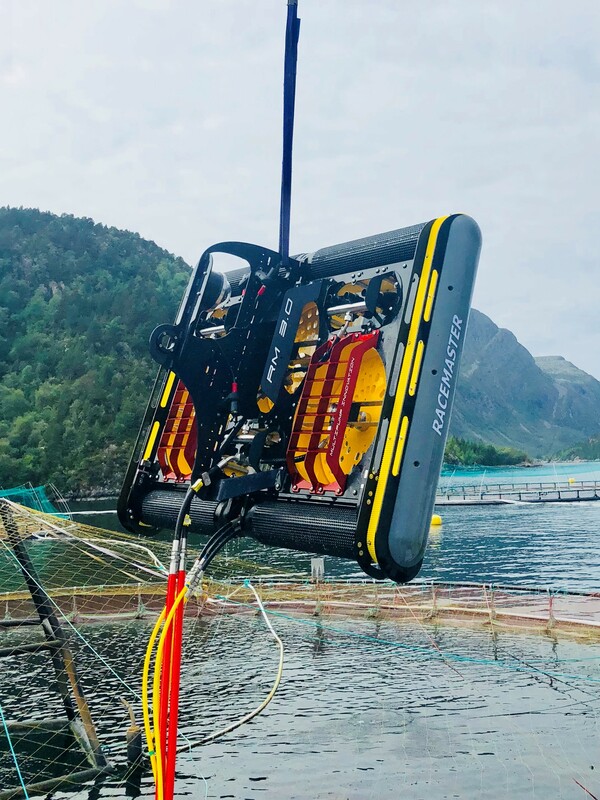 19 September 2018 – Chilean aquaculture service operator Yagan Chile has placed an order to purchase two Racemaster net cleaning robot systems from Norwegian technology company MPI (Multi Pump Innovation), bringing total sales to 30 units in less than nine months. The Racemaster 3.0 net cleaning robot was launched commercially at the beginning of the year. “We knew that we were launching the world’s fastest net cleaning robot, but to sell 30 units in less than nine months has exceeded our expectations,” Kåre Myrvåg, CEO of MPI, says about the instant success for the Racemaster 3.0. Numerous service companies and fish farmers in Norway, Scotland, Australia, Canada and Chile have purchased the new net cleaner. The Racemaster 3.0. is the fastest net cleaner in the world while at the same time burning up to 30 percent less fuel compared with similar systems. A cleaning width of 1.9 metres and four drums enables the robot to stretch the nets, which in turn improves climbing and cleaning performance and manoeuvrability on baggy nets and during challenging conditions. The robot’s large discs come with multiple options for nozzle settings, which have resulted in further improved cleaning capacity and quality. In addition, MPI has designed the robot for easy access, which allows operators to maintain it on site without the need for an external technician. “Basically, the Racemaster saves time and reduces fuel and maintenance costs. As service companies are competing to deliver the most cost efficient services to fish farmers, the robot has proved extremely popular from day one. It is also capable of handling strong currents and rough conditions, which makes it an even more reliable service partner,” adds Kåre Myrvåg. In 2016, Norwegian seafood investor Broodstock Capital acquired a 70 percent ownership share in MPI.